Park Chan-wook, the softly-spoken figure behind such deranged Korean classics as Oldboy and Sympathy for Mr Vengeance, has little doubt as to why revenge stories are so popular with moviegoers. “Revenge is a desire that everybody has but nobody can realise,” he smiles. Of course in Park’s revenge trilogy – of which the concluding part, the beautifully constructed Lady Vengeance, is currently on UK release – the characters do act out on this very desire with traumatic, bloody but always fascinating consequences. We’re sat in a boxy room of London’s Charlotte Street Hotel, and Park appears very much at ease clad entirely in black and sipping from a glass of wine. This doesn’t look like a man behind some of the most extreme images we’ve seen in recent cinema history – images, let us recall, that include a tongue being sliced out in Oldboy and prolonged torture by electric shock in Sympathy for Mr Vengeance. But then, despite the recurring themes in his movies, this is a director who confounds expectation at every turn. His latest movie starts off as a black comedy with events flashing back to Lee Young-ae’s incarcerated heroine doing one good deed after another for her fellow prisoners, almost like some kind of twisted sister to Amelie. Unlike Amelie Lady Vengeance develops into something very dark indeed, with its protagonist teaming up with bereaved parents to dish out some seriously bloody revenge on Choi Min-sik’s child killer. Whether the Hollywood version of Oldboy surprises everyone to provide risky, edgy entertainment or whether Park’s curiosity will turn to horror at some Will Smith quip-laden monstrosity is difficult to say (though it would be kind of fun to watch Will Smith devour a live octopus). 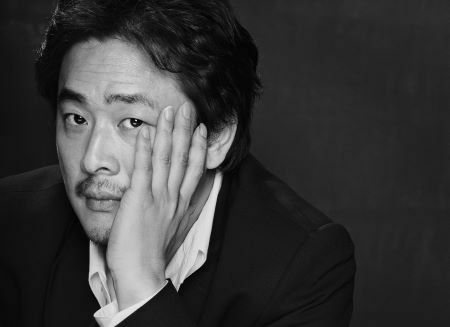 But Park Chan-wook is a unique voice in modern cinema, and the fact that he claims his next picture (“Literal translation, ‘I’m a Cyborg, But That’s OK'”) will be violence-free suggests that this is a director who almost takes delight in confounding expectations.